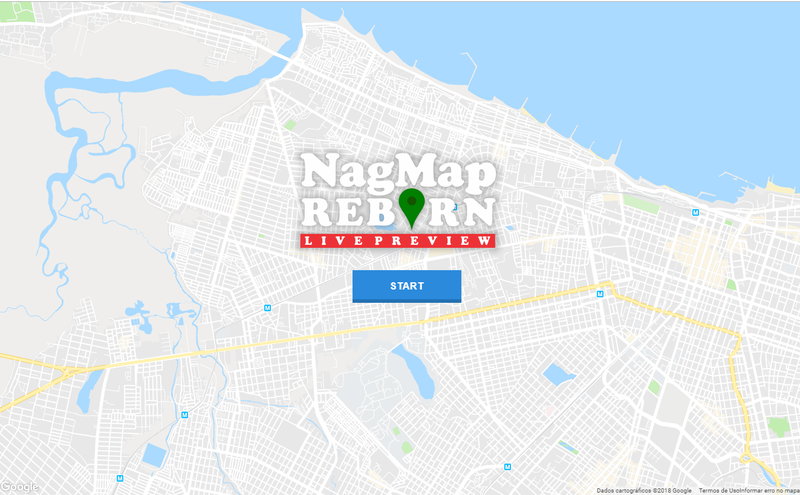 NagMap Reborn is based on NagMap project developed by Marcel Hecko which according to his own description is an "... super-simple application to integrate Nagios or Icinga with Google maps. The integration aims to visualize current status of network devices on aerial photography images..."
Updating hosts status without refresh on page. System of last occurrences (ChangesBar). Notification system on the page. Almost total control of page characteristics. Use system of sound warning. Show lines between hosts and their parents. Time to update hosts status. Use or not access control. It is possible to integrate with other systems that have the structure similar to these, if it worked with some other server monitoring system please let me know! Requires API key to be used. It has limits of free use. It does not rely on third-party services for display or customization. Easier customization and use of styles. You do not need an API key to use. No use limits when used in conjunction with OpenStreetMap. Depends on third parties to display the map and use styles. Most services that provide custom maps require an API key and have usage limits. From 03/2019 the project will go into hiatus to add features. This decision was taken so that all attention is focused on the development of the v2.0.0, which will bring many benefits. This version will continue to receive support. Version 1.6.4 will be the last stable version until release of v2.0.0(alpha/rc/final). There is no prediction yet for release of the new version. If you experience any problems deploying NagMap Reborn please see here how to request suport. You can see here the Wiki / FAQ of NagMap Reborn. As an Information Systems student about to graduate me, I use my free time to bring updates and improvements to the project, without any financial purpose.